Located in Las Vegas Strip, Luxor Hotel and Casino is 0.7 mi (1.1 km) from T-Mobile Arena and within a 15-minute drive of other popular attractions like Las Vegas Convention Center. This 4400-room, 3.5-star resort welcomes business and leisure travelers with 4 outdoor pools, a full-service spa, and a casino. This resort is home to 8 onsite restaurants, perfect for a quick bite to eat. Savor a meal from the comfort of your room with room service, or get a quick energy boost at the coffee shop/café. Start each morning with full breakfast, available for a fee from 7 AM to 11 AM. A flat-screen TV comes with cable channels and pay movies, and guests can stay connected with WiFi. The bathroom offers hair dryers and free toiletries. Other standard amenities include a safe, a phone, and an ironing board. Luxor Hotel and Casino features a full-service spa, 4 outdoor pools, and a casino. Valet parking is offered for USD 16 per day. The 24-hour front desk has multilingual staff ready to assist with concierge services, dry cleaning/laundry, and luggage storage. Other amenities at this spa resort include a fitness center, a sauna, and free WiFi in public areas. 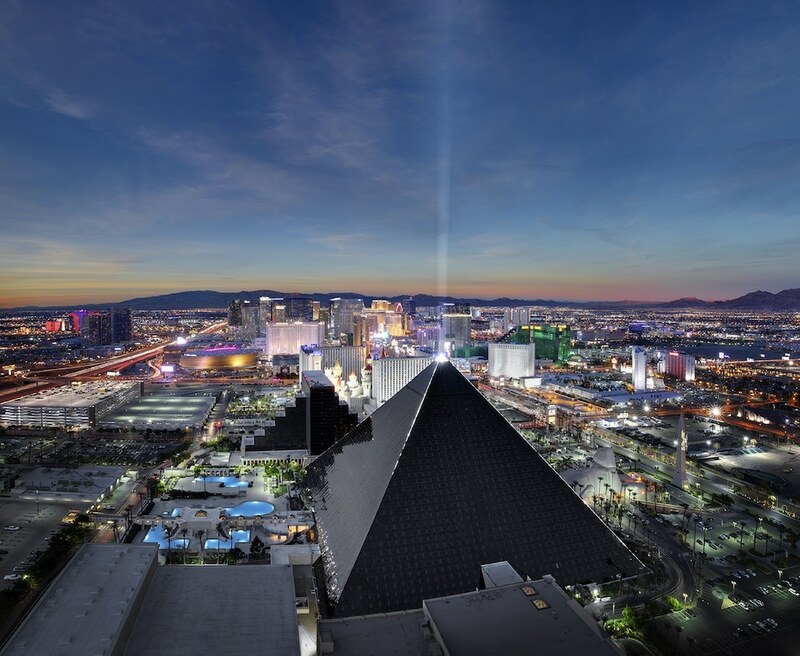 Luxor Hotel and Casino offers 4400 air-conditioned accommodations with safes and hair dryers. Flat-screen televisions come with cable channels and pay movies. In-room wireless Internet access is available for a surcharge. Additionally, rooms include irons/ironing boards and complimentary toiletries. Housekeeping is provided daily. Start your morning with a full breakfast, available each day from 7 AM to 11 AM for a surcharge. You can order a meal from room service during limited hours.